Lee-Anne Litton joins THE CORNER DANCE LAB 2014 as one of the teachers for this. She will work with a fantastic line up of artists at Jasper Corner, Federal. Jasper Corner, (Federal’s Community Hall & Church) is situated just 30 mins inland from Byron Bay on the New South Wales Northern Rivers region. Joining her on the teaching team are NSW-based artists Craig Bary, Phil Blackman, Philip Channells, Kate Harman, Joshua Thomson and Gavin Webber. These world-class facilitators will lead masterclasses and workshops for more than 35 dancers (with and without disability) from across Australia and New Zealand. The Corner Dance Lab will challenge stereotypes and perceptions of what dance is and can be. “Touch sensitizes promotes awareness and is one of the important means to Contact Improvisation.” The class starts with simple exercises, to give the opportunity to release excess muscular tension preparing the dancer to the sensations of gravity. With an increased sense of body awareness we will deepen the communication between the dancers with curiosity and playfulness, whilst building techniques of some of the fundamentals of Contact Improvisation. From here maintaining a spontaneous physical dialogue we will find the pleasure in dancing ones own movements together through an effortless mutual flow and continuity. Lee-Anne Litton is a Sydney-based performing artist originally form Perth, Western Australia. She spent her childhood training and competing in rhythmic gymnastics. After finishing her gymnastic career, Lee-Anne found the performing arts and began further training in contemporary dance, acrobatics and aerial techniques. She has extensive aerial training specialising in bungee and harness work along with other static aerial apparatuses. Lee-Anne has a strong investigation and passion for Contact improvisation. She has performed nationally and internationally with some of Australia’s leading physical theatre companies, including her own, Strings Attached and as a freelance performer for Stalker Theatre and Legs on the Wall. Lee-Anne has a strong curiosity for a performing style that exists between aerial performance and dance theatre. She has choreographed aerial-dance scenes for several large-scale productions, both nationally and internationally, which has lead her this year to collaborate as aerial and movement consultant for the theatre play Sound of Waiting under the direction of Lee Lewis. 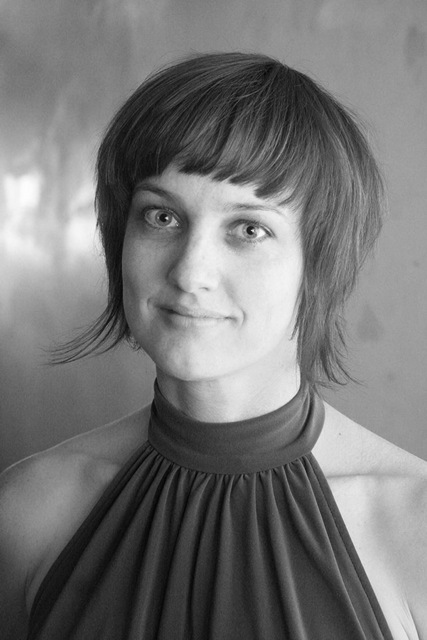 In 2012 Lee-Anne traveled New Zealand to collaborate with Touch Compass Dance Co. She performed in the premiere of Strings Attached work A Return to the Trees at Carriageworks and Stalker Theatre’s work Encoded, also at Carriageworks. 2013 she toured to Netherlands and Korea with Stalker Theatre to present Encoded and again later in the year to devise and present Mountain Pixels: a cross-cultural collaboration with Stalker Theatre and Korean dancers at Gwacheon and Hi Seoul Festivals.